Hi, I’m Dharini Hiremegalur, and in the summer of 2017, I climbed Mt. 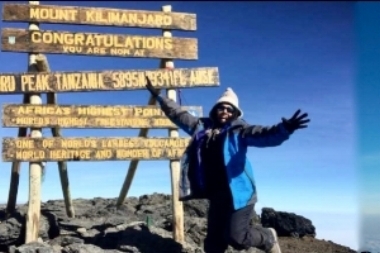 Kilimanjaro to fundraise for PRERNA to help refugees. My challenge was to hike up 5,825 meters to the summit with a goal to raise $5,825.00 - $1.00 for each meter. With your fervent encouragement, I climbed all the way to the mountain top!! And by the end of August, we raised $4,500 or about 77% of the goal. Thank you all for your support. 100% of your donations will go towards important services to help refugee families resettle in the Bay Area. I support PRERNA because its mission is to empower refugees of all faiths and ethnicities to rebuild their lives and become self-sufficient, contributing citizens. As most refugees arrive with few resources, PRERNA steps in to provide them with the basic essentials they need to restart: housing, household supplies, healthcare, education and employment support. The approach is not only about surviving in a new country, refugees learn to thrive through cultural assimilation so they can build a better future for themselves and their children. As an active volunteer at PRERNA, I assist refugees with finding meaningful employment. I help them write resumes, show them online resources and find suitable job opportunities. When refugees begin to work, they regain their sense of dignity and become productive members of society. PRERNA’s refugee families come from all over the world, including Myanmar, Sri Lanka, Ukraine, Zambia and Afghanistan. Refugees don’t leave their country because they want to. They are forced to flee because of violence and cannot return due to the danger in their homeland. We all deserve the right to a safe home, happiness and success. All refugees who enter the U.S. are legal residents with work permits and are heavily vetted for at least two years by international and U.S. organizations. It makes me sad to see refugee children go off to school without backpacks and families clean their houses without proper tools and supplies. We can change the life of a family so they can begin to heal from the trauma of fleeing from their homes and have the chance for a brighter future. Please consider donating to PRERNA and make a difference for these families. 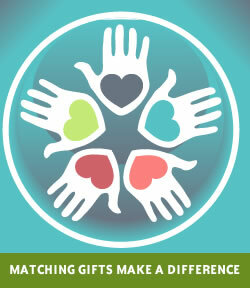 If you are employed, check with your company to see if there is a matching gift program. PRERNA (aka PRERNA2INSPIRE, Inc.) is registered as a charity with Benevity and Consiva and we can accept corporate matching funds. We are a non-profit 501(c)(3) organization and your donations may be tax deductible. EIN 47-4883492. Newer PostDoes Affordable Housing Exist in Silicon Valley?